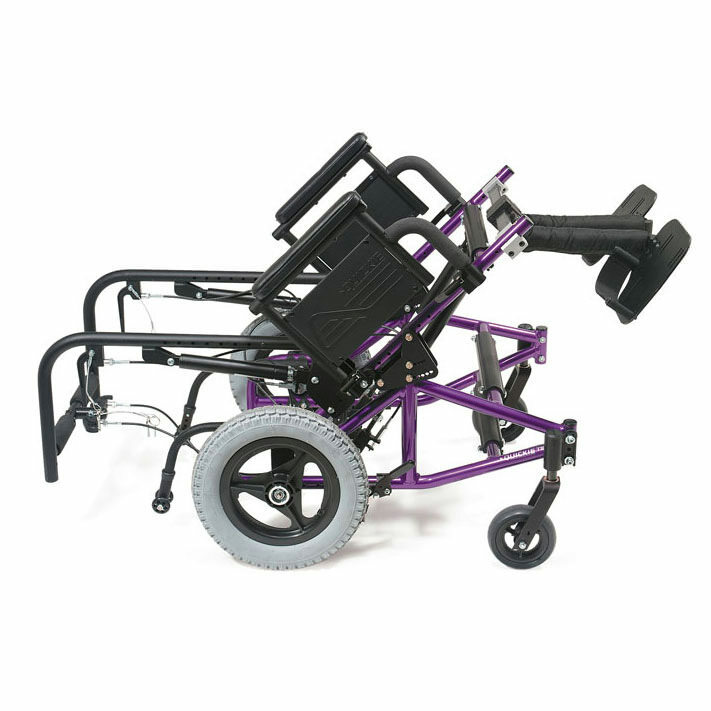 Quickie TS tilt-in-space manual wheelchair was designed to provide the "right" position for adults. 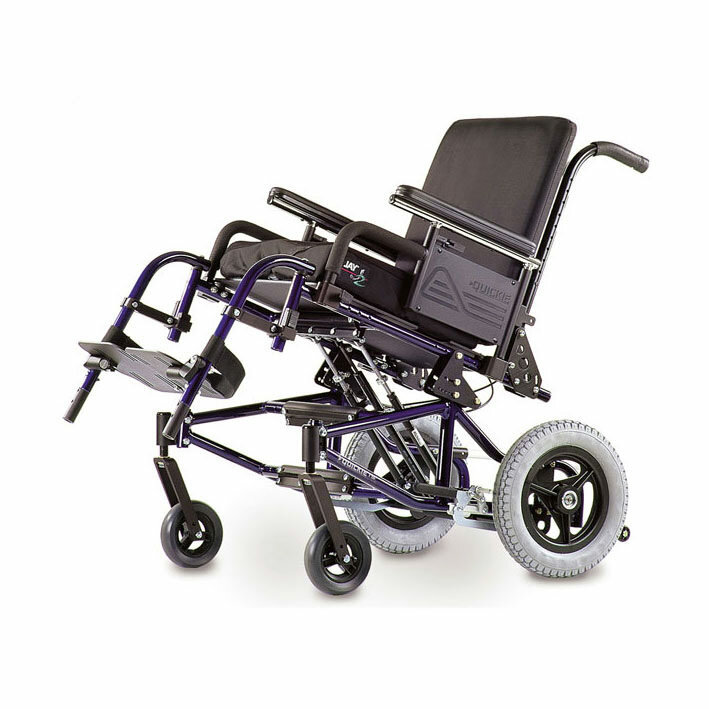 The Quickie TS wheelchair does it by providing a 53° tilt-in-space range and optional recline. 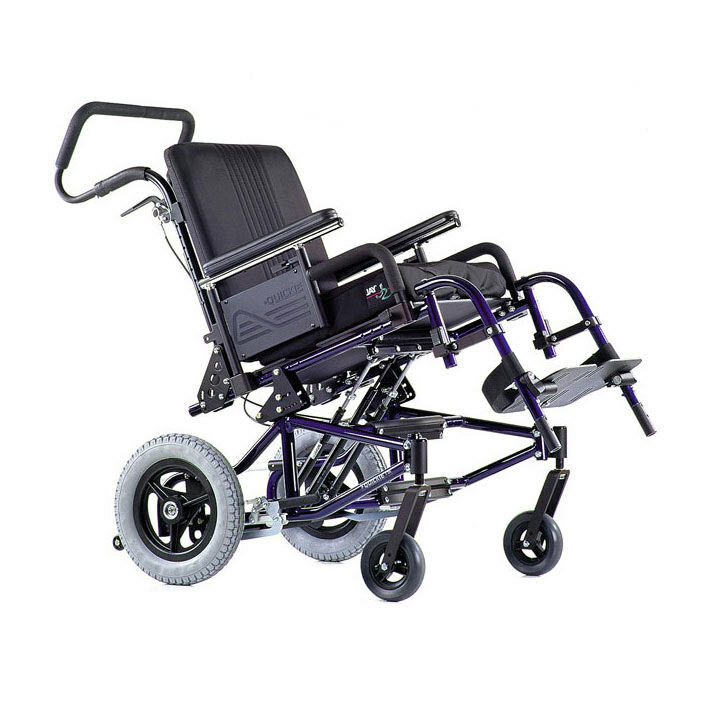 It is standard with tilt-assist locking gas springs or lever-activated dual mechanical locks for infinite tilt-in-space positioning. 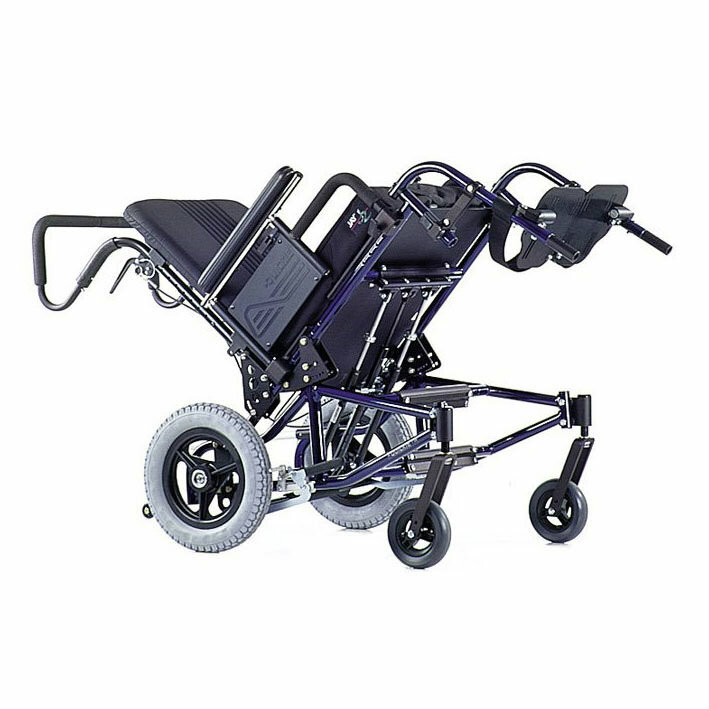 Overall width 23.5" - 29.5"
Caster options 5", 5X 1.5", 6", 6 X 1.5", 8", 8" X 1.5", 8" X 2"
Rear wheel options 12", 16", 18", 20", 22", 24"
Overall length 36" - 41"
Not available with reclining back. Not available with dual post armrests. Not available with low, swing away adjustable stroller handles, or dual mech locks. Not available with removable stroller handle ext. Dual post armrests Not available with 14" short, 16" regular, or 19" long frame depth/backpost options. Not available with widths over 16". Available with adult and kids angle adjustable footplates only. 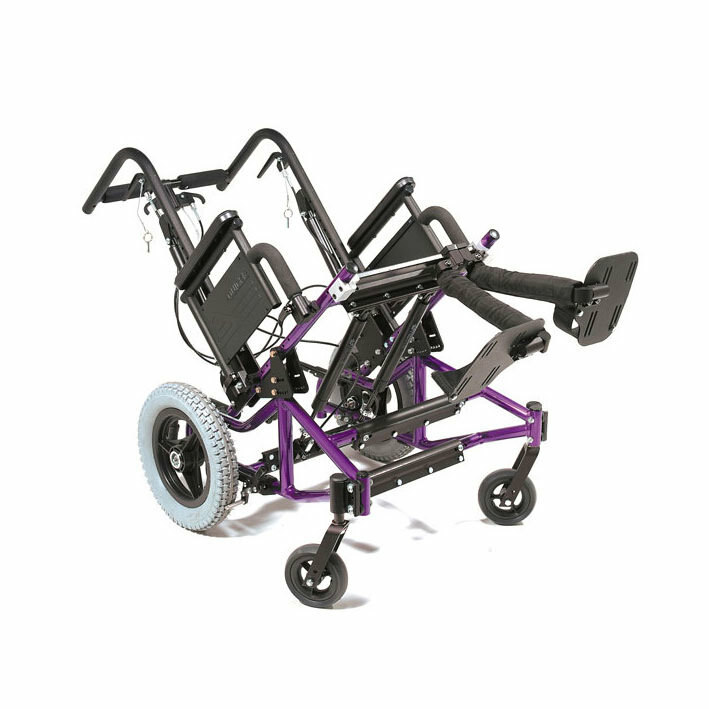 Only available with aluminum and angle adjustable footplates. Not available with high-push wheel locks and short footrest extension tubes or 14" width. Only available with composite and adult angle adjustable footplates. Only available with adult and kids angle adjustable footplates. Not available with elevating leg rests. Only available on 14"-16" width frames. Only available with 60° or 70° hangers and articulating leg rests. Only available with elevating legrest. Caster wheel interferes with caster fork in the upper hole position. Not available with 90° hangers and 90° elevating leg rest. Not available with 90° hangers and 90° elevating leg rest. Caster wheel interferes with caster fork in the upper hole position. Not available with ¾" or 1½" fork stem bolts or 8" x 2" front casters. Self-Propelling available w/ 24" and 26" rear wheels only. Tilt is limited to 33°. Rear seat to floor height 18" with 24" rear wheels, 19" with 26" rear wheels. Not available with handrims. Only available with pneumatic and pneumatic with airless inserts. Only available with pneumatic, pneumatic with airless inserts and full poly. Only available with pneumatic and pneumatic with airless inserts. Not available with 12", 16", and 18". Available with 24" spoke only. 12" and 16" wheels not available with hand rims. Not available on plastic coated. Does not apply to 12" & 16" wheels. Only available with 12" wheel. Not available with 12" , 16" and 18" wheels. Only available if armrests are included. Not available with dual post armrest styles or single post height adjustable armrests.